The author makes some great points, for example: ‘nine times out of ten, “luxury” is really just a marketing term.’ That makes sense to me. We live in an area with relatively old housing stock. Anything new, by comparison, can feel luxurious… just by virtue of being new and meeting current building codes. Which details about Austin St. and Washington Place (or the Avalons or Arborpoint, for that matter) lead folks to characterize them as ‘luxury’? Is it price alone? Are there ANY examples of recent development in Newton (outside of non-profit development projects) that wouldn’t be characterized as ‘luxury’? Q: Are these “luxury” apartments? @allison – you seem like a cool person, passionate on this topic; someone I’d enjoy debating this with over a pint or coffee. But given this is a blog, I’ll leave you with this…. Based on market rates reported for Avalon and other nearby “luxury” (note the use of quotes) rentals….if I’m dropping those amounts of dollars per month, I should get some wealth and equity building out of it, or at the very least a mortgage deduction. Instead, it ALL $$ goes to Northland, and that’s one of the biggest problems I have with this. If they came out and said, “we want 800 units because that’s how many lux apartments we can build and keep occupied for max profit…”, I wouldn’t like it, but would respect the honesty. But saying they’re going to make it “senior aged friendly” by selecting a few purpose targeted fixtures then charging market, mortgage level rates, is just a wolf hiding in sheep’s clothing. If Northland agree to greater than 75% of the 800 is truly affordable, I’d be happy to support. Don’t fall for it, Newton….just follow the money to find the truth. Luxury is a marketing term. It has no legal standards. It’s like when food manufacturers say their products are natural. What people mean is expensive. And housing is and will be expensive because we have a housing shortage. Don’t fall for the spin, Newton. Units to another location (something that is legal to do with inclusionary zoning). I somehow suspect that image will be modified very soon! A colleague at work is 27, and about to get married this Summer. His budget for their first home is $550,000. No kids (yet), but it’s in their plans. While they were interested in Newton, they ultimately chose Salem, MA. What they wanted was a single family house, with a yard for their dog and future kid. Their mortgage (all in, including taxes and insurance) will be less than $2,800/mo. They are Northland’s target demographic – young professionals – but they chose to live further away from Boston; to have something they can build for the future (equity and mortgage deduction) – a home AND investment. They had no desire to buy a condo in Newton, so why would they RENT for the same if not more with Northland, to get nothing (financially) in return? Suze Orman would be fit to be tied! Northland is not looking, or pricing these things for the middle class. 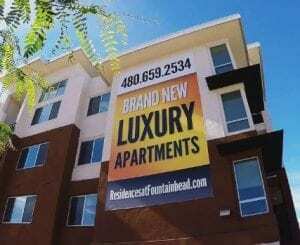 But rather, their units are glorified, longer term, transient, corporate housing tenants – with a few affordable units sprinkled in to get permitting approvals. Churn and burn, high margin revenue. Building on that luxuriousness. Even has Pet Grooming stations! I toured the Austin Street development. Anyone who thinks those are what you’re thinking of as luxury should take a look when they’re done. I expect them to be very tasteful, but they’re also small and use pretty standard materials. I agree with those saying “luxury” is a marketing term. What do you expect them to say, “Come buy some apartments that aren’t really that great, but you could live in them, I guess”? I do think there will be some sticker shock on the prices people are paying to get into them, but prices don’t exist in a vacuum. Very small apartments are going for high prices because we are a desirable place to live and the Greater Boston Area is experiencing a housing shortage crisis. Extracting the maximum profit possible at the least possible cost given a reasonable tolerance of risk. Its the city who is at fault for allowing the developer to rake the highest possible profit at a cost to its residents. The developer found a weakness with the city (global warming, social justice) and are exploiting it to extract maximum $$. Are there ANY examples of recent development in Newton (outside of non-profit development projects) that wouldn’t be characterized as ‘luxury’? The location of the Washington Street developments is anything but luxury. You open your windows and what you hear is the awful hum of the Mass Pike. Living with my windows closed all the time is not my idea of “luxury”. But as you point out, they are marketed as such, so this is not the example you’re looking for. Kinda proves the point Rick that “luxury” is just a marketing term. It is similar to the single family housing market. Very little is built at the lower end of the market overall but that’s particularly true in expensive markets like Newton. Here’s an interesting stat. Average new house size in 1950 was approx 1000 sq ft. Today – 2400 sq ft. That expansion in house sizes happened as the average number residents per house dropped. For me, the quirkiest part of that is the popularity of football field sized “master bedrooms” in big homes built today. I never got the appeal of that particular feature. A friend of mine is a developer of new single family homes on the north shore. He tells me he can’t make any money on smaller houses. It’s like supersized meals. Restaurants, instead of just raising prices and keeping portions the same size, increased portion size and price and therefore consumers feel like they’re getting their money’s worth. Look at the size of a bottle of sodas at the airport. It’s the ( failure of?) the free market. I was at the drug store the other day and I noticed that for some brands of toothbrush you had to buy a 2 pack. No other option. One again, though, let me make my standard argument about affordable housing. One part of the equation is wage stagnation. The middle class has been hollowed out and we are going to see that play out in the housing market I will predict. It’s not only the price of things have gone up. It’s that wages are flat, and health insurance coverage has eaten away at whatever wage increases people might get. As a developer, you make more money off high-end real estate, it’s that simple. Why would you deal with the city hall BS, community meetings, remediation plans etc if you weren’t looking to maximize your ROI? I’d go invest in Chelsea or Lynn or something if I wanted to start with a lower initial real estate investment.